Valve Springs With Larger Diameters Require Retainers To Handle The Higher Pressures Developed By The Springs. Comp Cams Steel Retainers Are The Perfect Solution To This Problem. Comp Engineers Used 3D Cad With Fee To Design Retainers With A Modern And Advanced Contoured Top Profiling For Lower Stress, Increased Lift And A Reduction In Mass. Valve springs with larger diameters require retainers to handle the higher pressures developed by the springs. COMP Cams steel retainers are the perfect solution. This 10 degree Super Locksteel retainer is precision machined from 4140 chromemoly steel and finished in black oxide. This precision retainer is specifically designed for positive location when combined with COMP Cams high-quality valve springs. 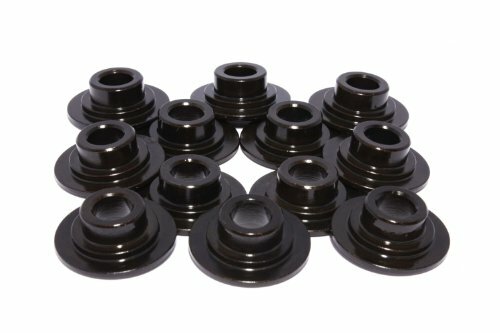 This 10 degree steel retainer for a variety of BeehiveValve Springs is precision machined from 4140 chromemoly steel and finished in black oxide. This precision retainer is specifically designed for positive location when combined with COMP Cams high-quality valve springs. These . 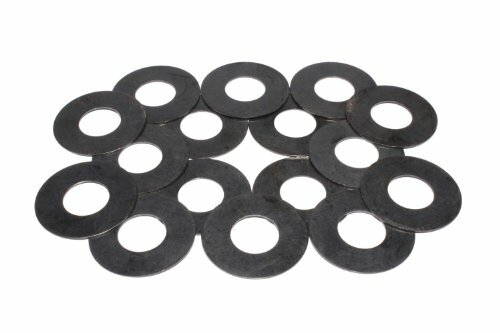 030" Thick Valve Spring Shims With 1. 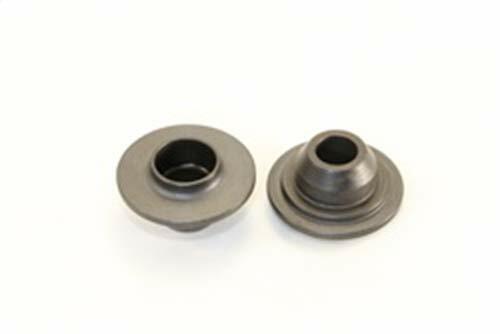 437" Outside Diameter Are Used To Equalize The Installed Height Of Valve Springs. 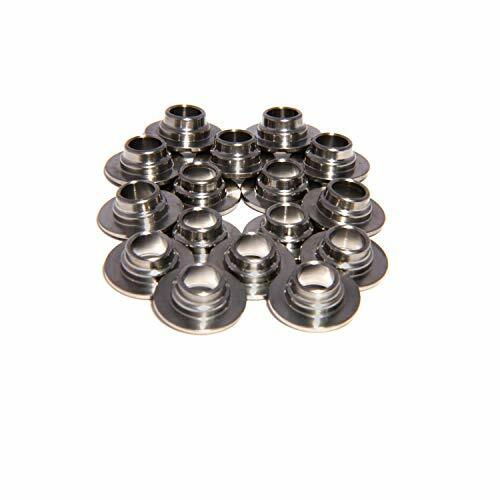 Made From The Highest Quality Shim Stock, These Shims Are Heat Treated To Stand Up To Radical Cam Lobes. Kits Are Also Available. Valve springs with larger diameters require retainers to handle the higher pressures developed by the springs. COMP Cams steel retainers are the perfect solution. 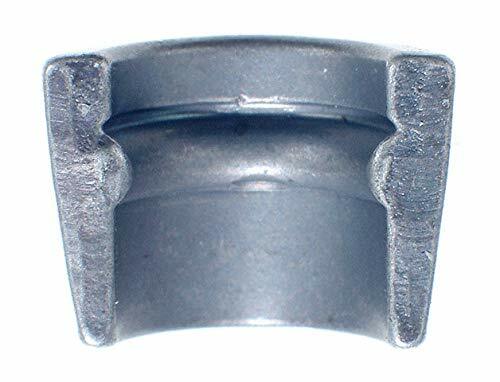 This 7 degree steel retainer for Chevy, Small Block Ford, Olds and Pontiac applications is precision machined from 4140 chromemoly steel and finished in black oxide. This precision retainer is specifically designed for positive location when combined with COMP Cams high-quality valve springs. Sold Individually -This Product Is Designed And Made By Crane. With The Classic Look, The Right Color Combos And Materials, It Works Just As Well With Any Situation. 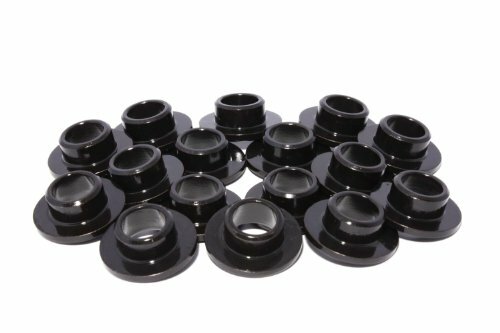 Precision machined from chromoly steel then black oxides, these 7 degree retainers are designed specifically for Chrysler 5.7 and 6.1L Non-VVT HEMIs with our 26915/26918 Beehive springs. 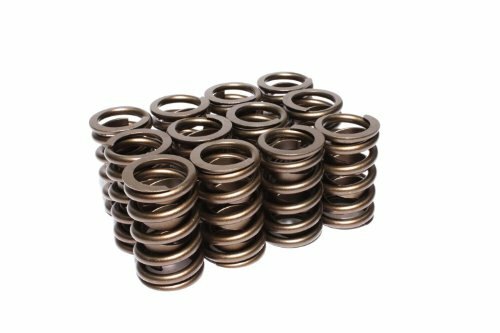 Valve springs with larger diameters require retainers to handle the higher pressures developed by the springs. 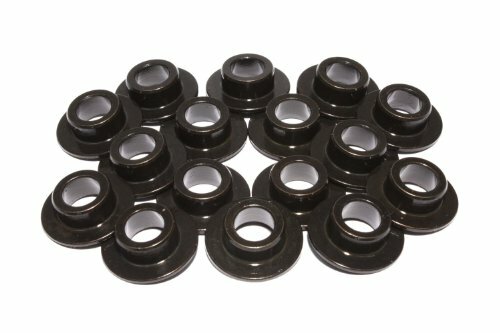 COMP Cams steel retainers are precision machined from chromoly steel and finished in black oxide. 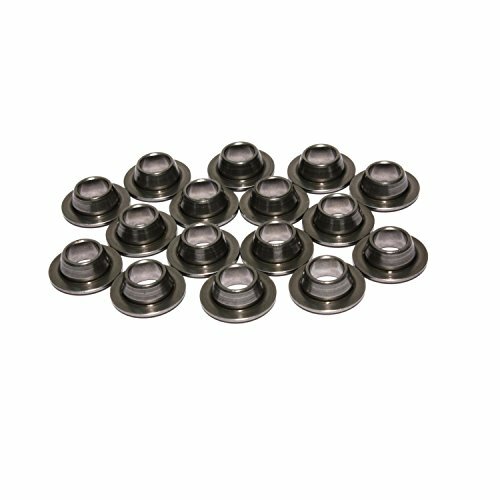 These precision retainers are specifically designed for positive location when combined with COMP Cams high-quality valve springs. For superior strength and ultimate stability, both 7 and 10 retainers and valve locks are available. Specifically designed for positive location when combined with COMP Cams valve springs. Offer superior strength and stability for applications using high pressure performance valve springs. COMP Cams steel retainers are precision machined from chromoly steel and finished in black oxide for increased strength and durability. 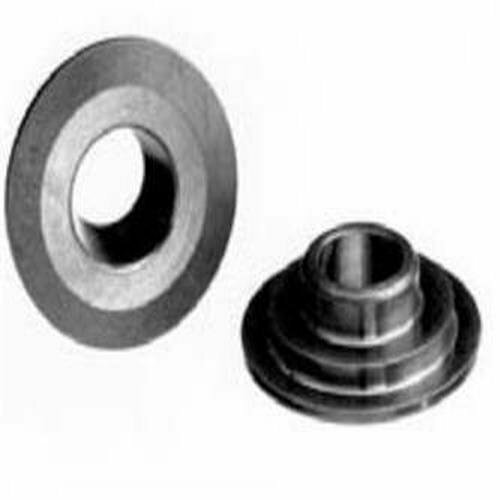 This 7 degree steel retainer for GM Gen III applications with #26915 or #26918 BeehiveValve Springs is precision machined from 4140 chromemoly steel and finished in black oxide. This precision retainer is specifically designed for positive location when combined with COMP Cams high-quality valve springs. This 7 degree steel retainer for Ford 4.6L with 4 Valve Head and #26123 BeehiveValve Springs is precision machined from 4140 chromemoly steel and finished in black oxide. This precision retainer is specifically designed for positive location when combined with COMP Cams high-quality valve springs. Valve springs with larger diameters require retainers to handle the higher pressures developed by the springs. COMP Cams steel retainers are the perfect solution. 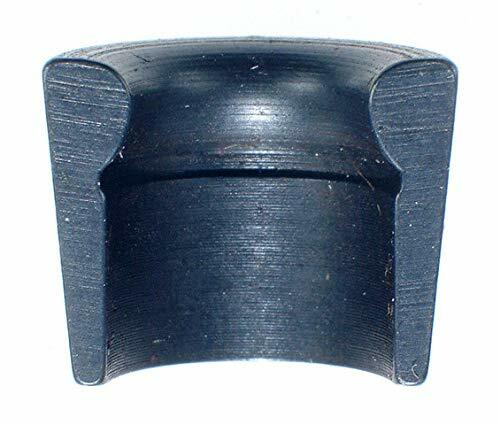 This 7 degree steel retainer for Big Block Chevy, Chrysler and Big Block Ford applications is precision machined from 4140 chromemoly steel and finished in black oxide. This precision retainer is specifically designed for positive location when combined with COMP Cams high-quality valve springs. Ti Retainers, Stock Height 7Deg (26113). This product has Great Performance . This product Enhance your vehicle. This product is manufactured in United States. Comp Cams ovate wire springs are constructed from oval shaped wire as opposed to round. The oval shaped wire means there is more material occupying the same area than round wire springs to more efficiently distribute the operation stresses. Engineered with advanced processing techniques for longevity and reliability. CNC-machined for consistency, these 7 degree tool steel retainers feature light weight, exceptional strength and wear characteristics. Fit 11/32" valves with 1.055" OD springs such as our 26915, 26918, 26918, 26986, and 26995 springs. COMP Cams Lightweight Tool Steel Retainers provide the best of all valve train benefits: light weight, along with exceptional strength and wear characteristics. Approximately 33% lighter than conventional chromemoly steel retainers and only 2-4 grams heavier than titanium (depending upon application), they are made from high-grade tool steel, making them able to withstand even the most demanding race applications. 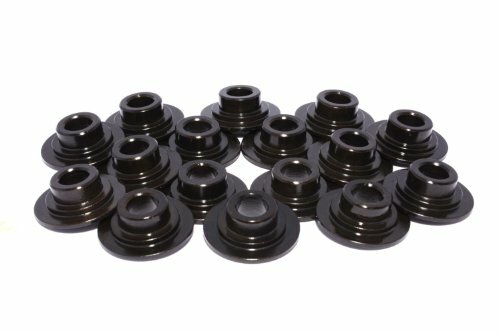 Designed for use with 11/32 Valve/Non-LS Engines using our 26915, 26918, 26918, 26986, and 26995 Beehive Valve Springs. 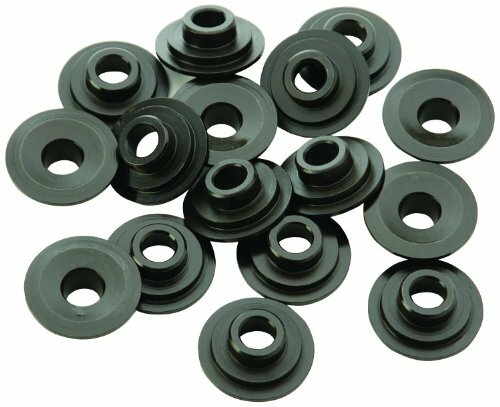 Crane Cams 1.425 inch OD Multi-Fit Valve Spring Retainer, (Set of 16) features rugged steel valve spring retainers. They are made from high-quality steel bar stock. 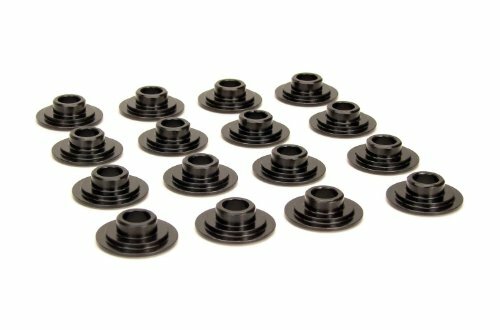 They are heat-treated for maximum strength and durability, and black oxide coated for corrosion resistance. The titanium retainers are also offered, precision machined from certified grade bar stock. 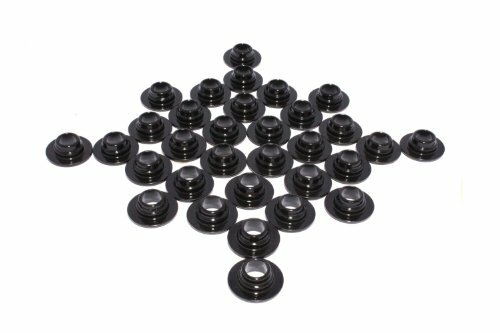 They feature either a 7 degree or 10 degree taper, and they are compatible with either Crane's stamped valve stem locks or their machined steel locks.